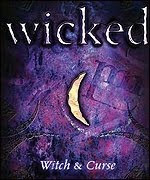 DreamWorks have picked up the rights to teen novel series Wicked. Writers Aaron and Matthew Benay are attached to adapt the bestselling books - Witch, Curse, Legacy, Spellbound, and Resurrection. Catching Fire by Suzanne Collins is #1 on the NY Times Best Seller List! Where the Wild Things Are has also made it to #1 this week! CBSnews.com says In The Recession, Libraries are booming. Check out the article. Folks are flocking to the libraries to look for a job. Check out what The Wall Street Journal has to say about it. Walmart.com has the Top New Release books for under $10. They also have the top 200 books for 50% off! I haven't read the Wicked series yet. It looks like fun ! Yeah!!! for libraries! They are such an awesome community resource. I'm glad they're getting such wonderful nationwide attention right now. It surprises me that CBS news is saying that because ALL Philadelphia libraries have been shut down and Phoenix libraries hours were shortened to only a few hours a day. The people may want them but the cities don't have the money. How sad! Glad Chasing Fire was #1, no surprise there!!!!!! Well, what can I say? Being a librarian is pretty much one of the best things to be ever. :-) I'm glad I caught on to it before it became a trend--ha ha! And as for libraries booming, it makes me envious as 3/4 of my library's budget was cut, and we can only buy what makes it on the bestseller list. Plus we had to cancel one of our best databases that patrons loved. And we can't update our computers now. When will legislation realize that cutting a library's budget hurts the entire community?! I'm still working on this weekly feature. I'm sure hoping it gets better each week as I get the kinks out.